SHEDIAC, N.B. 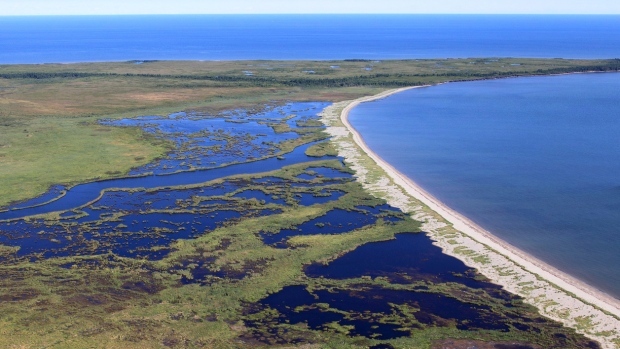 - The Nature Conservancy of Canada is protecting two more ecologically sensitive areas on the Chignecto Isthmus, which links Nova Scotia with New Brunswick. The sites protect 137 hectares of land in Haute Aboujagane and near Upper Cape. In total the conservancy now protects more than 1,200 hectares on the Isthmus. The Haute Aboujagane property is the second donation for conservation by the family of Derek Burney, Canada's former ambassador to the United States. The Chignecto Isthmus provides habitat for moose, bobcat and various other species and is an important stopover for migrating waterfowl.